Our first ever Networking Meeting was a total success. Almost 30 people showed up to meet the SHPE Chapter board and members, learn more about the chapter mission and objectives, and listen to two local executives: Miguel Alemany from P&G, and the Keynote Speaker: Scott Ernest, VP & General Manager from GE. The also learned about the upcoming 2010 SHPE Conference in Cincinnati (Oct. 27-31), and ways to volunteer and get engaged in the chapter. SHPE Conference 2010: Register Today!!! This year, the 2010 SHPE Conference will take place in Cincinnati, OH, from October 27 to October 30, 2010. Please review the program and register today! This conference sells out quickly!!! Business, civic and hospitality leaders came together to celebrate the launch of the new Cincinnati chapter of the Society of Hispanic Professional Engineers (SHPE). The local chapter celebrated its founding with a reception at the Procter & Gamble headquarters from 5-7 p.m. Friday, August 27. "The formation of the SHPE Chapter in Cincinnati provides an opportunity for us to become the obvious source for quality Hispanic professionals in the fields of Science, Technology, Engineering and Math,” said Jorge Seda, president of the new chapter. “We will fulfill our mission by promoting educational and networking opportunities, professional and personal growth while enhancing the pride and reputation of the Hispanic community. These goals culminate with the SHPE National Convention to be held in our city in October." 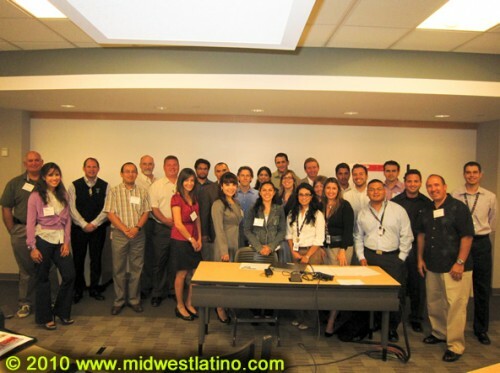 The Cincinnati chapter was founded in part to help support and prepare for the SHPE National Conference, the largest technical conference for Hispanics in the nation, which will bring an estimated 5,000 SHPE members to Cincinnati USA in October 27-31, 2010.